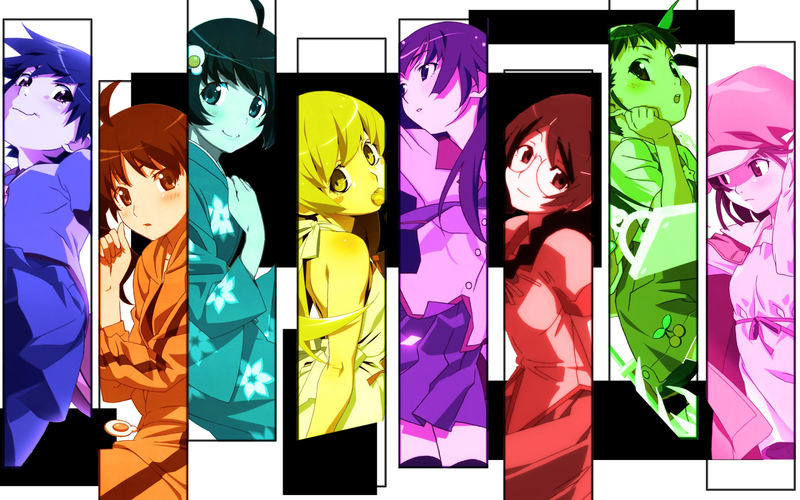 Its commonplace that the "Monogatari" girls are some of the more popular female characters in the anime industry. 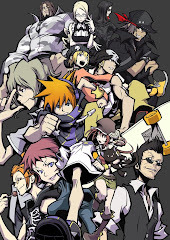 People actually love the series hell a lot more than I do, and while a difference of opinion is at hand here, I won't go as far as to say that the series is rather "overrated". The "Monogatari" series has its own special charms that no other anime can match up to, that much I can understand. Harems as an overall aren't received too damn well by the general otaku populace, and only a handful make it out to be "amazing" or "godly" by some other anime standards. The "Monogatari" series is currently one of the few franchises out there that's on top of the charts right now...good for them. However, with "Monogatari Series Second Season", they tried to expand the franchise even further, so far as to making it a full blown 26 episode anime. And well, they did a damn good job. The "Monogatari" series always had a habit of putting out many good opening songs...so I'll get right to it. For Hanekawa's arc, the opening song is "Chocolate Insomnia" by Yui Horie (the seiyuu for Hanekawa), and its fair at best. I very much prefered "Sugar Sweet Nightmare" back in "Bakemonogatari". Its sweet...and decent, but that's all really. The second opening which features Hachikuji's arc is "Happy Bite" by Emiri Kato, and to say to least.....its a very happy song. I'm not a fan of the very happy songs...so I'll leave it at that. The 3rd opening which features Nadeko's arc is "Musou Express" by Kana Hanazawa. While its a darker song than "Renai Circulation", its still retains its contagiousness, and I can say that its worthy to carry on that title. The 4th and final opening is hilariously good, which features Kaiki's arc, the song is "Kogarashi Sentiment" by Chiwa Saito and Shinichiro Miki. Its an awesome throwback to the old 80s and early 90s anime....which is nostalgic, to say the least. I loved it the most out of the 4 opening songs, actually. Its great, that's all I can say to it. It retains its format in "Nisemonogatari", which I actually loved way more than "Bakemonogatari", because it had great pacing. "Monogatari Series Second Season" continues that trend, and it spends more episodes in each individual arc to further explain and elaborate on the current situation of our heroines. Its great that Koyomi isn't so much as the star for every arc anymore, and having insight from the girls themselves (or Kaiki in the final arc) is a great way to shed more light on the situations. Every arc is done very well, and while the recap episodes aren't really needed, they serve as a good summary for those who never watched the OVAs (I never watched Nekomonogatari, so episode 6 was a lifesaver). 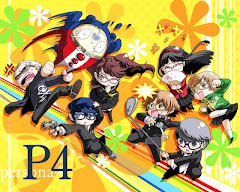 For those who don't know the series very well, it does fan service segments well, the story for each arc is very in-depth, the art style is unique as hell, and the characters have very...awkward and entertaining conversations. It may not sound appealing, but it quickly becomes addicting. 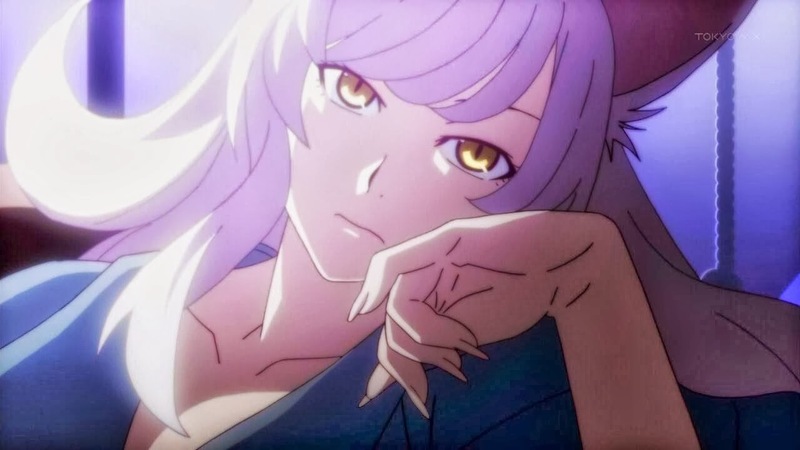 Black Hanekawa is not amused. 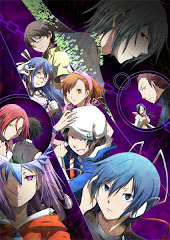 "Monogatari Series Second Season" is easily more of what the previous seasons have already done. Fortunately this time around, the arcs are pretty interesting on their own, and they do spawn some thought invoking in our heads. The final arc in particular, puts us in the shoes of Kaiki, a "villain" from a previous story, and that was rather interesting. Surely there's more to come, with the success of the series, and honestly, I can't wait to see what else they can come up with.